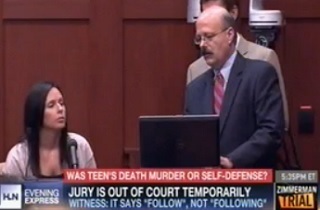 The George Zimmerman murder trial took a strange detour into social media this afternoon, as prosecution witness Jenna Lauer, who placed the 911 call on which screams for help can be heard, was accused by the prosecutor of following Zimmerman’s brother, Robert Zimmerman, Jr., on Twitter. 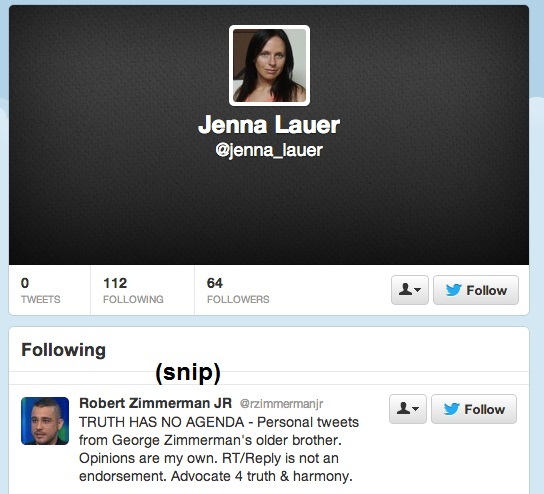 Lauer made a credible claim of ignorance about Twitter, and denied following Zimmerman, which turned out not to be true. The real spectacle, though, was the utter failure of anyone in the court to know a single thing about Twitter. George Zimmerman’s brother has become a controversial figure in this case, particularly because of his Twitter activity. 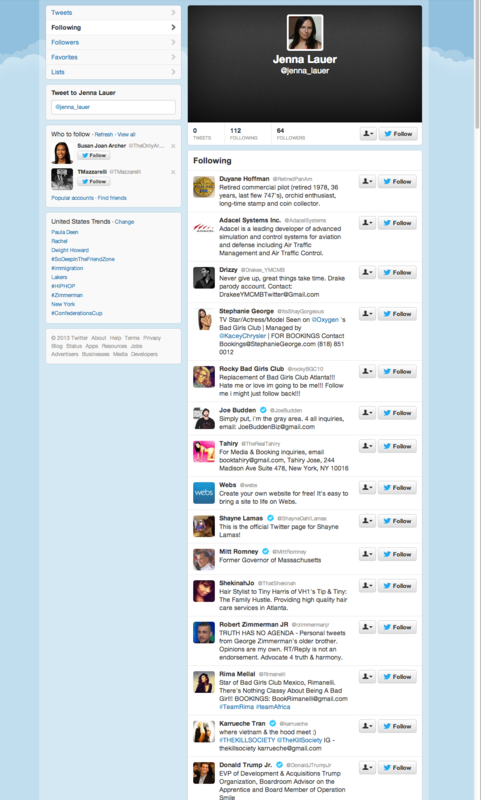 The revelation, however, soon gave way to the most massive Twitter fail in judicial history. “And you recognize one of the people you’re following is Robert Zimmerman, Jr., Mr. Zimmerman’s brother right here?” de la Rionda asked. “Do you know how they got on your Twitter?” de la Rionda asked. That is, of course, because she was looking at her own Twitter account, on a laptop on which she was not logged in. “What does that mean?” de la Rionda asked, to begin a painful clinic in Twitter cluelessness. Long story short, nobody in court knew a damn thing about Twitter, and they spent a few more minutes making Abe Simpson sound like Mark Zuckerberg, before forgetting the whole thing. This is not why Al Gore invented the internet, people.